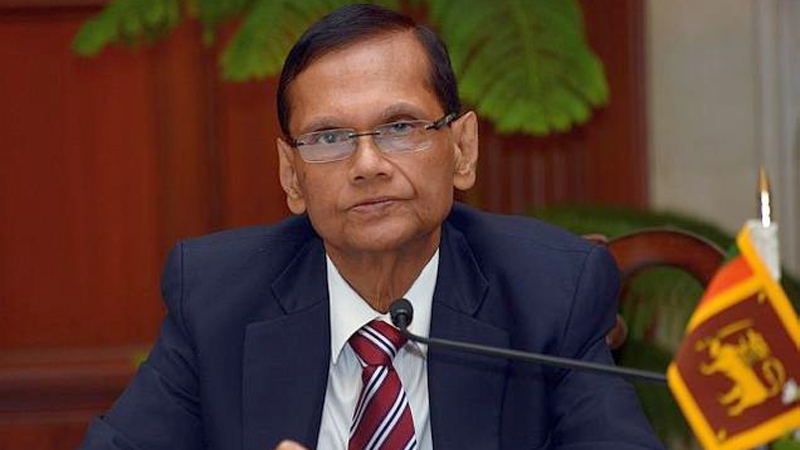 The Government is paying Rs 1.9 billion as consultancy fees to a foreign firm contracted to operate the State machinery in this country, alleged former Minister Prof G L Peiris, addressing a press conference organized by the Joint Opposition Economic Research Committee at the Sri Vajirashrama in Punchi Borella. Prof. Peiris said the government had an attitudinal problem of treating everything local as anathema. The government's policy was to seek foreign solutions to our local problems. He said the government had contracted a US firm in Maryland to restructure the State administrative machinery at a cost of Rs 1.9 billion. This particular US company had a questionable and notorious history and its past record had been inimical to democracy. Professor: When you people hier US firms to lobby US government was there PITTU in your mouth?? With intelligent qualified expatriates and their proven track record who could have been approached to render their expertise to evaluate and reorganize the "State Machinery" in the country to be run efficiently and eliminate redundancies, it is an insult to the intelligence of our educated experts both within the country and outside to play a secondary role to organizations in the US that are not always top notch. They don’t have a passion for the issues to begin with because they are alien and are just paid staffers who don’t understand the mindset and culture of Sri Lanka. To reorganize one must first evaluate the trouble spots and the issues and then address the changes and introduction of systems where inputs and outputs are efficiently managed. The trouble with Sri Lanka is the lack of accountability and mechanisms to gather data on feedback for continuous improvement. Wasting tax payer money is a onetime shot. The entire system of state machinery should be put on a continuous improvement cycle. The private sector in Sri Lanka is doing an effective job and the pool of talent that could have been put together has been totally ignored. It doesn't take rocket science to understand the pitfalls of the state machinery in Sri Lanka. There are obvious irregularities and poor planning that do not require highly paid foreign experts for remedial action. We who live in America do have a record of serving in positions that entrusted reorganization of operations in manageable segments of large organizations with a common goal although we are foreign born. There are many exceptionally abled expats who could have been brought into the country at a much lower cost. With capabilities of technology today, their input could have been harnessed for the benefit of the country. It is another inefficient and probably corrupt decision which benefits everything but the country. Expats who watch this from a far are appalled at the wastage and the lack of recognition of who have been recognized and acknowledged in developed countries are found not good enough to serve ignorant bureaucratic decision makers in Sri Lanka. Another wasteful expense that will not achieve the desired results.